Now that summer is coming to a close I know we are all scrambling to hold on to the last bits of our summer glow. Two products that will help you hold on to your summer facial glow are the Vita Liberata Self Tanning Night Moisture Mask and the Trystal Self Tanning Bronzer. Let's start with the Self-Tanning Night Moisture Mask. I consider this simply a moisturizer that I apply before bed when I want a subtle tan for the next day. HyH2O™ technology delivers a stunning natural glow by morning, along with intense hydration, overnight rejuvenation and anti age benefits, all in a rich and silky formulation that will leave skin feeling plump, soft and supple with a youthful, balanced radiance everyday. Organic Sunflower Seed delivers Vitamin A, C and D for calming and protection, while Tocopherol protects against free radical damage and Apple softens fine lines and wrinkles. Directions for use: Smooth onto face, neck and décolleté following your evening cleansing routine. I love that this moisturizer contains such wonderful ingredients that will soften my skin overnight AND provide a nice tan in the morning. I have another facial bronzing serum from another brand and it has the awful self-tanner smell. This doesn't have any scent at all which I LOVE! I truly can't stand the self-tanning scent anywhere near me. To be honest, fake facial tans don't last more than 1 day on me but that's only because I obsessively wash my face every night. So I can't speak to how long this self tanner actually lasts on the skin. You can purchase this from Sephora for $45. Next let's talk abut the Trystal Self Tanning Bronzer. Trystal3™ Technology combines an instant pure mineral bronze colour with long lasting self tan results for a beautiful, natural - looking medium tan that lasts for days. 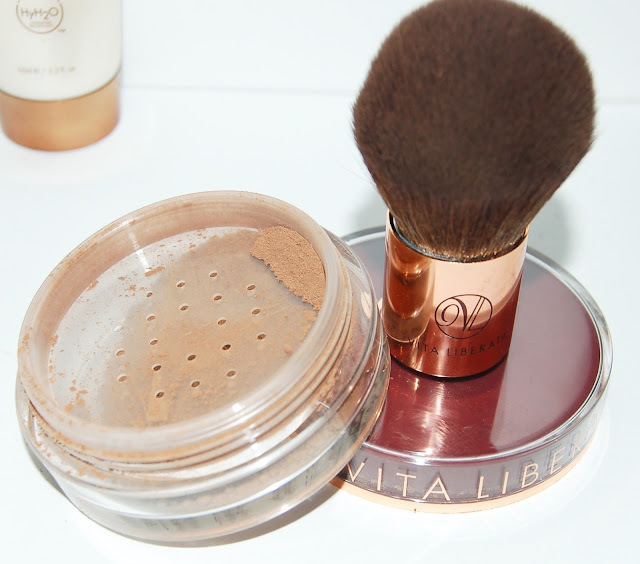 The innovative formula is a world - first self tanning bronzer. Oil - free with micronised crystals for sheer, lightweight bronzing coverage and added DHA for a lasting tan result, this unique bronzing powder will leave you with soft, smooth, healthy looking skin. 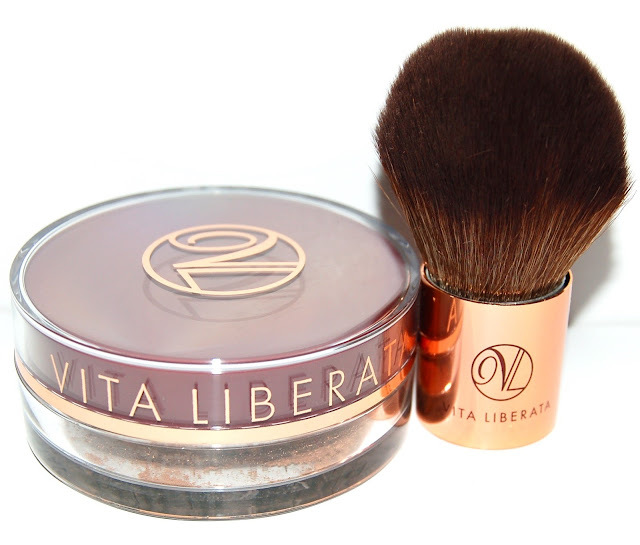 This product is a loose mineral bronzning powder and I love it! It applies smoothly and blends easily so it looks really natural. 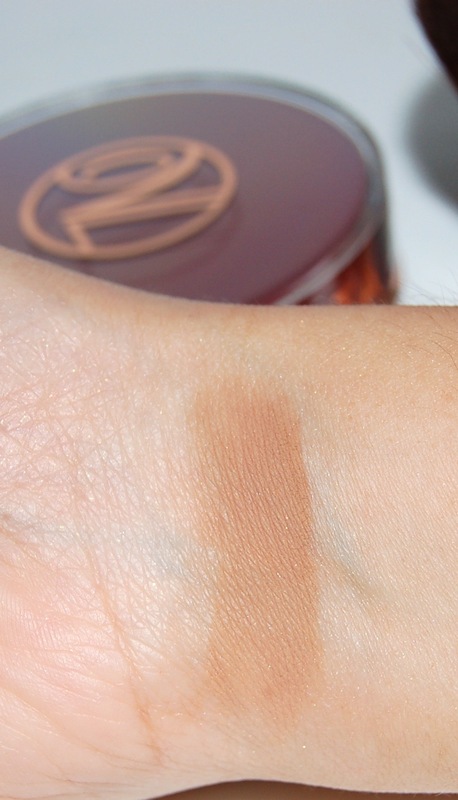 The color is perfect for me in the summer or winter because it's easy to blend and not overdo. However, I've honestly not noticed a lasting tan look on my skin. Maybe because I apply this over liquid foundation and wash it clean off at night so I've never really gave it a fair shot at actually tanning my face. You can purchase this bronzing powder from Sephora with and without the brush ($45 vs $55), I love using the included brush though, it's really soft. 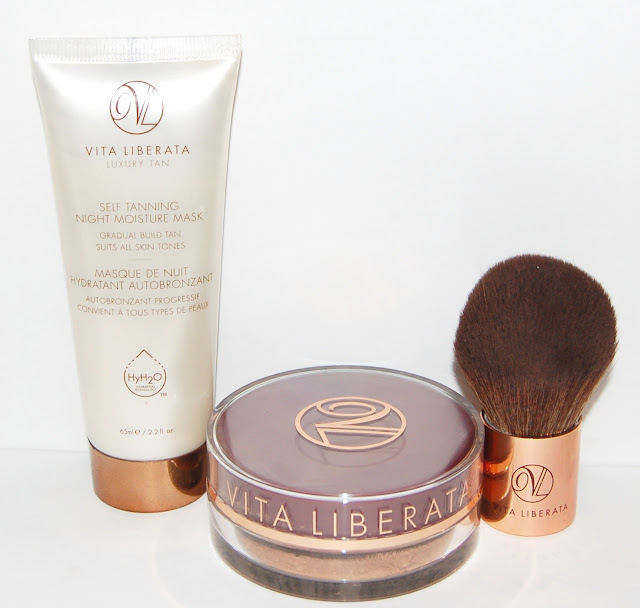 I love both of these Vita Liberata tanning products. I love the Self-Tanning Night Moisture Mask for days that I know I want to have a subtle glow the next day. And I love the Trystal Self-Tanning Bronzing Powder when I want to add a tan look to my makeup that day. As I stated above, you may purhcase these products using the links above at Sephora or on the Vita Liberata Website. *I was sent these products for review. All statements are 100% honest and my own. Two Year Blog Anniversary + Giveaway!